It's not just about providing clothing; it's about doing it in such a way that it begins restores dignity. Thanks for our generous donors, we are able to provide clothing to refugee families which are distributed by our local partners both in the slums of Beirut and in the Bekaa Valley. Instead of clothes being delivered, women are able to "shop" for themselves and their children and husbands. Together with partners such as Giving Children Hope, we are able to continue to provide clothing for refugee families. Last year, GCH sent off their 22nd container of supplies to Lebanon, which in turn were distributed by WAM across the country. 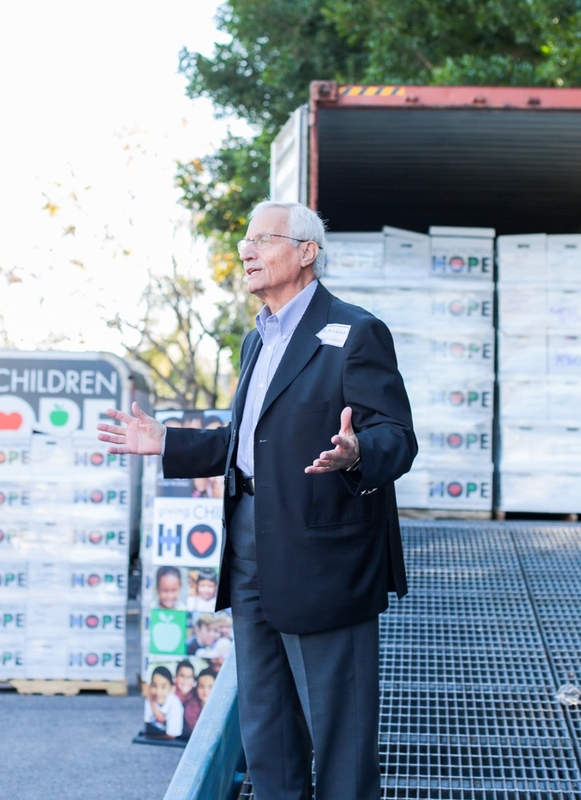 Jean Bouchebel, who spoke at the send-off event, continues to work to raise the funds or container donations to help refugee families with this basic need.